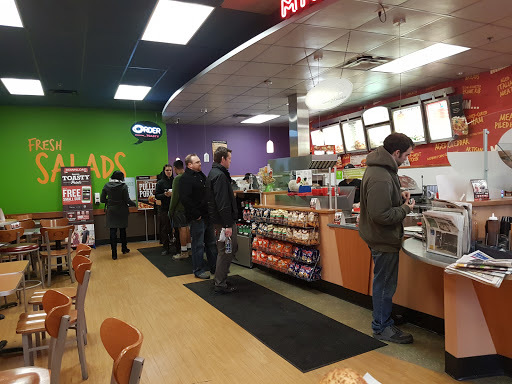 A clean and tidy Quiznos. The owner obviously takes pride in the place. The subs are always tasty and filling. I have been going here almost every other day all year while working down the road, very clean place, subs are always fresh, always very freindly. Cant ask for much more than that. I usually go for lunch. Very good service. Fast. Nice and clean! It has Telus WiFi which is convenient, and delicious subs. Tastiest food of all sub places.